Self-insured employers are mining their health and benefits data to save costs and provide quality care for employees. Data is driving business decisions, but how do you get from millions of rows of data to a consumable graph to taking action? 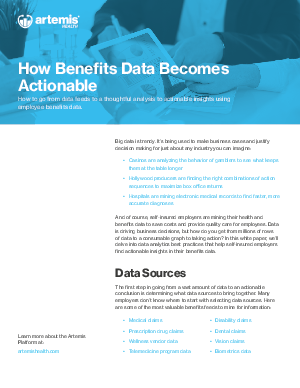 In this white paper, we’ll delve into data analytics best practices that help self-insured employers find actionable insights in their benefits data.